This fermented skate liver oil is a natural source of vitamin A, D, E and K. Plus EPA, DHA and omega 3, 6, 7 and 9 essential fatty acids. 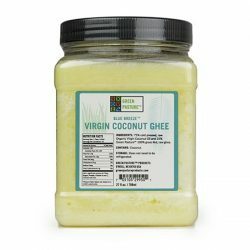 SKU: 0ee3ba43f6fd Categories: Antioxidants, Coenzyme Q10, Fats, Oils & Butters, Fermented Cod Liver Oil, Vitamins & Minerals, Weston A. Price Brands: Green Pasture. 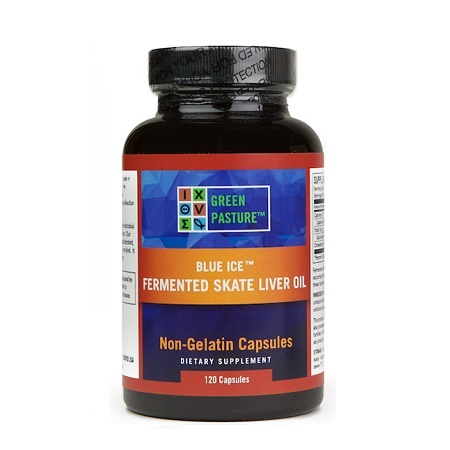 Green Pasture’s Blue Ice Fermented Skate Liver Oil is your best choice for cartilage fish oil. Skate liver oil is complete in its offering of many nutrients in a similar balance as cod liver oil. Unlike shark liver oil, skate liver oil is abundant in vitamins A, D, E, K, the full range of omega fatty acids, plus all the unique nutrients found in shark liver oil such as chondroitin, squalene, and alkoxglycerols. Fermented skate liver oil will contain the 3 most important omega-3 fatty acids: EPA, DHA and ALA. These are essential to the body, and ensure healthy brain function/development, joints, immune system and cardiovascular system. 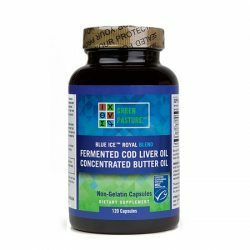 The omega-3 fatty acids in this product are much more bioavailable than other cod liver oil supplements, so your body will be able to absorb and utilize much more of what you consume. All skate liver oil supplements wil contain these vitamins, but often synthetic ones, which have been added in after extraction. Fermented skate liver oil contains naturally occurring vitamin A & D (which are essential for the immune system and bone health) which makes them much more easily absorbed. Part of the reason why the nutrients in this product are so bioavailable is because it contains natural enzymes and co-factors which aid the digestion and absorption of these nutrients and other foods too. Some co-factors have other benefits, and one in particular (co-enzyme Q10) has demonstrated protective effects for the cardiovascular system while also being a very powerful antioxidant. The fermentation process produces a small number of other nutrients, such as vitamin K2, which are essential for your health. 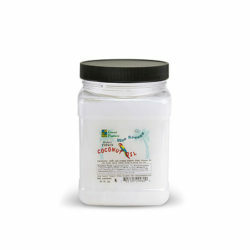 There are no synthetic vitamins, no heavy metals, no toxins or artificial chemicals of any kind in this product. Everything about this product is natural. 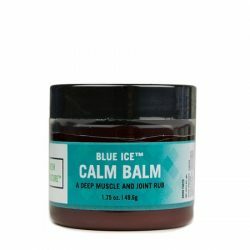 Ingredients: Fermented Skate Liver Oil, unbleached beeswax (as thickener), plant cellulose (capsules). Store in refrigerator, or in a cool and dark place. This product is processed in a facility that also processes or stores shell fish, other families of fish, tree nuts, milk products, and soy products.